If you are an Internet business owner, using IBO Toolbox will be highly beneficial since it is deeply dedicated to helping you scale up your online business. And it is FREE! Instead of lumping this tool under our collection of “free tools available on the Internet”, we are separately presenting IBO ToolBox here for reasons that will become obvious as you read through this special highlight. The owner of this platform is Paul Williams and the website is www.ibotoolbox.com. IBO Toolbox is a social networking platform where Independent Business Owners (IBO) share information and work together to scale up their businesses. Traditionally, branding a business costs thousands of dollars. IBO ToolBox allows you the rare opportunity for branding your business without any kind of cost incurred on you. It’s completely free. IBO ToolBox provides you a toolbox of marketing including social media marketing, press releases, SEO and many other essential tools that help you get ranked in Google and drive traffic to your website. The advantage of being part of the community using the IBO ToolBox is that you can effectively promote and/or exchange business opportunities with other like-minded IBOs. You can also help and at the same time get help from other members. There are many other advantages and I will describe them below. If you have already acquired the vital knowledge of Internet Marketing such as SEO and could effectively use keyword research tools, it is even easier for your blog posts or websites to get first page ranking on Google by using IBO ToolBox platform, because the platform itself is an authority site and its high-quality contents rank very high with Google. you will have equal access to all the IBO Toolbox like all the other members, there is no limitation or restriction. It is the mecca of Internet business owners and marketers, who flock together and help each other with one common goal in mind – to make money online. You can generate a very high traffic to your blog or website – the dream of all IBOs – by utilizing the platform without having to pay a dime. That means if you are an online business owner using IBO ToolBox you do not need to use any other time consuming and costly paid traffic programs like Adwords or Pay-Per-Click (PPC) and the like. You are not required to pay or buy anything on IBO Toolbox. It is a totally FREE program. But if you want you can buy ad space for $19.95 per month. This is an option. Once you have set up your website and need to expand or get more referrals for your business, IBOT platform is one of the best places to give your site a wider exposure and to make your business grow. Once you join the IBO ToolBox, I would recommend you to first familiarize yourself with the platform by going through the IBOT training by Kris Karafotas, which also included Webinars. You can directly communicate with Kris on the platform as well. There are written and video tutorials given by other IBOT members, including how to do various tasks and create press releases etc. If you have any problem you can get assistant from IBOT HelpDesk. When you join the platform you are assumed to know the basics of Internet/affiliate marketing and website design. So, apart from these basic questions, you can contact IBOT HelpDesk for help if you have any difficulty using IBOToolBox. It will take you some time to figure out how to make good use of the resources on this platform. So, be patient and be prepared to learn and grow your business. You can open a new IBOTube Account from which to upload your YouTube Videos. You can monitor the number of visitors per day you get to your site via your IBOSocial Profile. You can effectively grow your Network Followers through your activities like the Press Releases and or Videos you uploaded. Live Chat with members who are online is another means of growing your follower base. Unlike Wealthy Affiliate that strictly forbids spamming on its platform, the IBOT has no such restriction. So, be careful with marketing pyramid schemes and MLM-type schemes on the platform. Just shy away from them or tell them you are not interested in MLM programs. 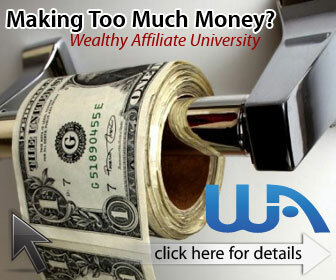 If you are a starter and wondering where to find a legitimate and honest online marketing training, I would strongly recommend you to join Wealthy Affiliate University for free. This is where I learned about affiliate marketing and all the nitty-gritty of designing website. I soon upgraded to a premium membership after I was convinced that this was the right place for me to begin. Before joining Wealthy Affiliate University, I have zero knowledge of web technology and affiliate marketing. I have now built this website on my own and become a member of IBO ToolBox. This fact alone serves as a good testament that Wealthy Affiliate is the best training platform for beginners. First learning the basics of Internet marketing at Wealthy Affiliate University and then promoting your business by using the IBO TooBox platform as a complement is the best way to go. If you have already established you website and have a good foundation then IBOTOOLBOX is the one that I recommend for getting more exposure and increasing your traffic flow. I am relatively still new to IBOT so I will appreciate any comments from those who are already having first-hand experiences with the platform. If you have any question please leave it below and I will try my best to answer you. In due course, as I get deeply involved with IBOT, I will share more of the experiences I gained through using this great platform. Thanks Kipps, it is interesting to actually read about IBO Toolbox. I have heard so many people saying I should join but I have never been bothered. I really just prefer to spend my time writing content on my own websites, I just don’t have the time for socializing on another network. I just wonder about the spamming there, and this is what turned me off. It appears all the MLM people are involved with IBO, like you say in your post. If this is such a business social network is it not just a bunch of people all trying to push their own sales pitches on others? Sorry for being the devils advocate here, just sharing my thoughts on why I have never joined IBO. I can’t see that anything they can offer me will help me move forward with my online business. If I already know SEO and how to run my online business surely I would just focus on my own website? How much traffic do you get from IBO? Thanks for the great questions. To be honest I am relatively a new member to IBOT right now, as I have mentioned in my article. Like you, I also came across IBOT quite sometime ago as recommended by one trusted friend. But I found the navigation system very complicated and again, like you, I haven’t enough time for socializing while I focused on my web building. Now another trusted friend invited me again. This time around, I am starting to launch my site so I need traffic and quality traffic is what I need. This is what I find out – a quality traffic! Not just a bunch of people sociallizing or pitching each other, but real people interested in real internet marketing are flocking there. There is a big difference. Even then, I have to admit, I am still new here, but I am genuinely excited! Since it is free, you have nothing to loose and the resources I am reading everyday are really great. I will report further as I get inolved deeper with IBOToolBox. Regarding spammers and MLM schemes, I am already too familiar with them, so I only need to ignore or say NO! The pros far outnumbered the cons. I am a member of Wealthy Affiliate since a few years back and now consider is one of the online entrepreneurs after the training and formula taught by WA platform. This is my first time I hear about IBO Toolbox and it seems the great opportunities to expand my current business and also is time for me to expose to something new that works out for my site. It seems that they have great support and I would give it a try since the account is free. Why not. Thanks for letting me know, Kipps. I am glad you are joining it. Though I am still new to this platform, recommendations from two trusted friends from Wealthy Affiliate are enough for me to jump on the band wagon. We have a lot of trustful friends at WA, and that is already a big advantage. There are a lot of BS written on many other forums but we can trust freinds at WA. According to these friends IBOT is one such honest platfrom we can rely on as we do with WA. I hope to give more indepth report about IBOT as I gain more experiences here – as my passion is to help others achieve their goals. I also hope to hear from you too. Thanks for the great review of IBO Toolbox! I had not heard of it before reading your review, but it sounds like a great marketing tool to promote your business. I was wondering, does it make more sense after you’ve established your business? It sounds like joining Wealthy Affiliate first to gain a better understanding of starting an online business would be best, and then joining IBO Toolbox later. I appreciate the thorough review! Yes, you have it right. I mentioned it that way too. The reason being that IBO ToolBox does not have training for online marketing. So one first need to get started with Wealthy Affiliate, finish the Certificate Course, choose a niche, get your site up and running THEN ONLY you are ready to join IBO ToolBox. The cart should follow the cow! Not the other way around. Thanks that you like the â€œreviewâ€. I, intentionally, didnâ€™t use this word â€œreviewâ€ because it is a â€œSPECIAL HIGHLIGHTâ€ of this great tool, that I wish all friends to join. Please check it out. I am still learning to use these tools as I am also a newbie in this respect. I am sharing this information with confidence anyway, because two of my most trusted friends recommended this to me. Glad that you like my sharing. Hope this helps you too. Do share your experience once you are inside.